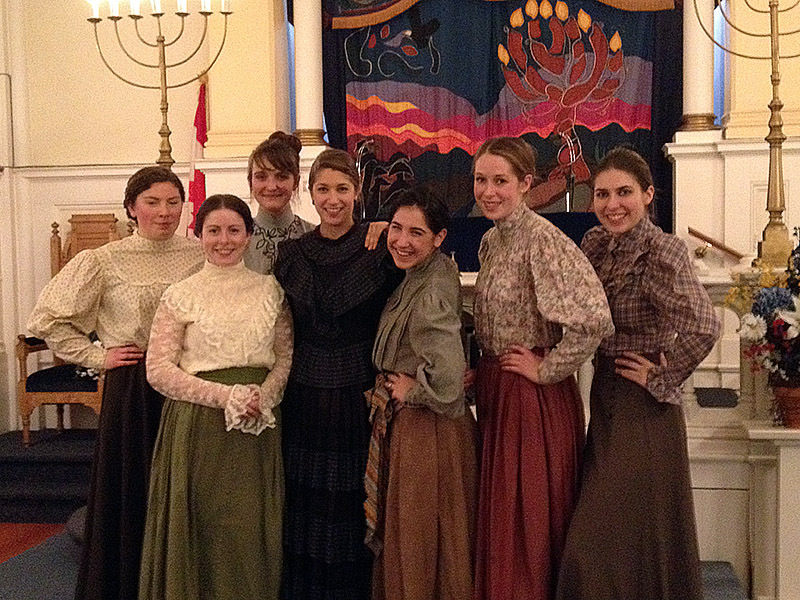 Congratulations to Department of Theatre associate professor Jennifer Wise for winning The Canadian Jewish Playwriting Competition for her 2013 play The Girl Rabbi of the Golden West. The Girl Rabbi of the Golden West was originally performed on April 10 & 11, 2013, as part of Congregation Emanu-El’s 150th anniversary celebrations. Read more about Girl Rabbi in this Ring article. No strange to award nominations, Wise‘s first book— Dionysus Writes (Cornell 1998)—was nominated for two book awards in the U.S., and her Broadview Anthology of Drama is a widely adopted textbook. Her translation of Brecht’s The Resistible Rise of Arturo Ui (Methuen 2013)—staged here at Phoenix, at York University and at the Great Hall Black Box in Toronto in 2013—was selected by Brecht’s heirs as the first new English version of this play in almost 40 years. 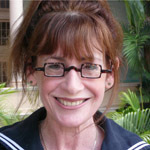 Wise’s translation of Aristophanes’ Frogs, created for the Phoenix in 2000, was also produced at the University of Denver in 2004; The Moons of Jupiter, her play about Galileo’s children written for the International Year of Astronomy (2009), was a finalist in the Herman Voaden National Playwriting Competition in 2011; and her articles have appeared in such venues as Theatre Research International, Theatre Survey, Reader’s Digest, and Arethusa. Wise picks up a cash prize of $1,000, plus a professional Between Stages one-day workshop at Toronto’s Miles Nadal Jewish Community Centre—directed by original Girl Rabbi director Liza Balkan—in the fall of 2014, followed by an informal public reading with feed-back from the audience. Past CJPC winners have gone on to appear at Vancouver’s Chutzpah! Festival and have full productions at The Winnipeg Jewish Theatre Company. Awarded annually by the Toronto Jewish Theatre Committee, the Canadian Jewish Playwriting Competition was founded in 1989. The present jury consists of eight members of the MNjcc community who are also theatre professionals in some capacity in Toronto. Up to 20 plays are submitted for the CJPC from six Canadian provinces, the United States and Israel each year. 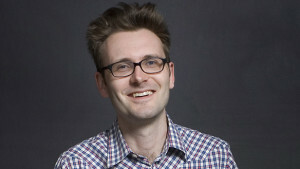 This is the first time the prize has been won by a Victoria playwright. The founder of Canadian Women in the Literary Arts and celebrated co-creator of Hope in Shadows: Stories and Photographs from Vancouver’s Downtown Eastside, Gillian Jerome will read from her latest book of poems, Red Nest. A live interview with UVic’s own Melanie Siebert will follow the Open Space reading. Thanks to the History in Art department, thousands of buttons and hundreds of metres of thread have now transformed one enormous swath of cloth into one huge button blanket. The companion exhibit, Adasla: The Movement of Hands, centres upon the creation and exhibition of what we’re calling the World’s Biggest Button Blanket. A project of Carolyn Butler Palmer, the Williams Legacy Chair in Modern and Contemporary Art of the Pacific Northwest, and sessional instructor Peter Morin, the blanket was created over the Fall 2013 academic term in collaboration with students at UVic’s First Peoples House. The finished blanket invites new conversations about indigenous button blanket makers and the artistic traditions that surround them. Morin will offer the inaugural dance of the blanket on Wednesday, January 29, at First Peoples House as part of UVic’s 2014 Diversity Research Forum. There will also be a companion performance on at 2pm on Saturday, February 22, at the Legacy Gallery Downtown with Morin and Governor General’s Award-winning performance artist Rebecca Belmore, a former Audain Professor for the Department of Visual Arts. 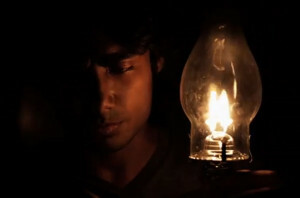 Adaslā: The Movement of Hands continues to April 25 at the Legacy Art Gallery Downtown, 630 Yates. 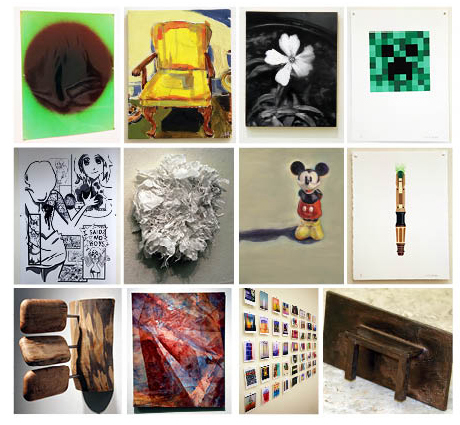 Bidding runs 9am-5pm daily, and up to 6pm Thursday, January 23, in the Visual Arts building’s Audain Gallery. You don’t have to be present to win your bid. Join Visual Impetus, the annual History in Art department’s graduate student symposium, and the theme this year is “Conceived, Created & Consumed.” When attempting to analyze and understand the significance of visual culture in society, we must examine the various stages of development as it transitions from the artist’s idea to a tangible manifestation that audiences perceive and respond to. 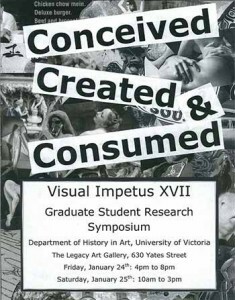 The organizers of Visual Impetus XVII offer presentations addressing visual culture within the moments of conception, creation, or consumption, and how significance and function can shift within these different stages. Included among the presentations is the keynote address by Peter Morin of the Big Button Blanket Project, 4pm Friday, January 24. Click here to see the full schedule of presenters. After that, the award-winning Sonik will be giving an interactive talk on literary magazine and book publishing, designed for new and emerging writers at UVic and the Victoria community at large who are interested in knowing how to make submissions, write pitches and book proposals, and approach literary agents. 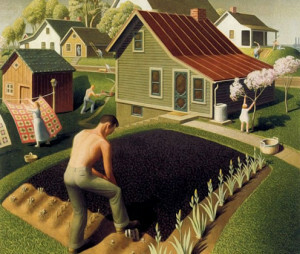 Other topics will include literary contests, grants, market studies, and how to keep track of it all. This equally free event runs 2:30-4pm Tuesady, February 4, in room A240 of UVic’s HSD Building. 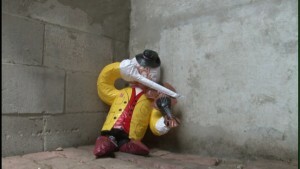 Michael Klein has been exhibiting video and photo-based work for more than 30 years. He has curated, organized and programmed numerous exhibitions and publications. and opened the MKG127 gallery in Toronto in 2007. 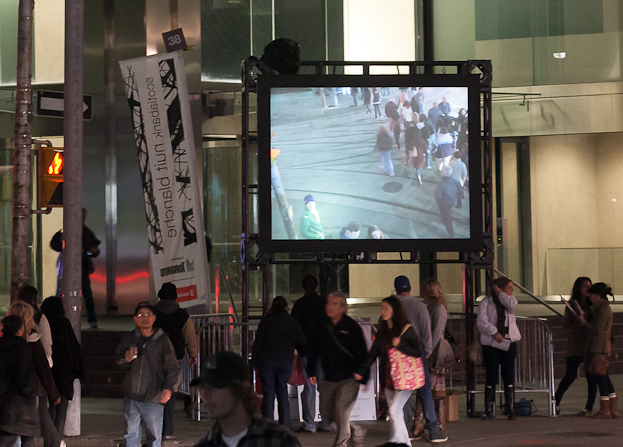 Recent exhibitions include The Other Side for Scotia Bank Nuit Blanche 2012, All in the Family at the Winnipeg Art Gallery and Family Ties at Daniel Faria Gallery in 2013. Just in time for the Sochi Winter Olympics, Tom Hawthorn—2014 Southam Lecturer for the Department of Writing—presents his free public lecture, In Defence of Sports Writing (Not All of It, Just the Good Stuff). Not only will Hawthorn discuss the importance of sports writing but also examine the more political side of the Olympics at his public lecture, from the move to boycott the Nazi Olympics and the Black Power salutes of 1968, to the African boycott of the Montreal Olympics and the contemporary protests over Russia’s anti-gay laws. In addition to having covered the 1996 Olympic Games in Athens, Hawthorn has worked in the sports departments of the Globe and Mail, Province and Times Colonist newspapers, and is a well-respected journalist and magazine writer whose byline has appeared in magazines across the country. 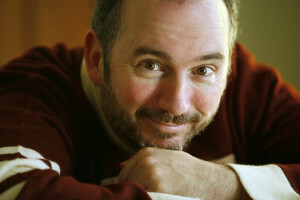 He is also the author of the recent book, Deadlines: Obits of Memorable British Columbians. The School of Music’s Ajtony Csaba conducts the UVic Orchestra in a program of Mozart (Overture to Don Giovanni), Maurice Ravel (Piano Concerto in G Major), and Richard Strauss (Death and Transfiguration, Op. 24). Featured in the Ravel piece will be piano soloist Barry Tan, winner of the annual UVic Concerto Competition. 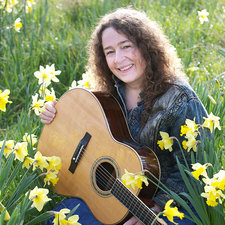 Don Joy begins at 8pm Friday, January 31, in the University Centre’s Farquhar Auditorium. Click here for ticket information. The Shostakovich Op. 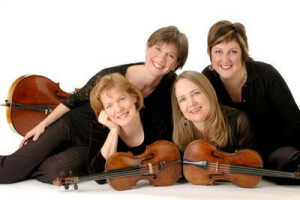 57 Piano Quintet has been in the Lafayette String Quartet’s repertoire from the very beginning. As students, three of the quartet members performed this work with the great Rostislav Dubinsky and his wife, Luba Edlina and the Quartet has performed this piece numerous times since. “This piece is an old friend—it’s in our blood,” says Ann Elliott-Goldschmid, violinist with the LSQ. In contrast, the Dvorak Op. 97 String Quintet, which uses idiomatic modalities common in Native American song and African Amercian spirituals, is a fresh undertaking for the group. The Quartet will bring both of these works to the stage with the help of guest performers Alexander Tselyakov (piano) and Yariv Aloni (viola). Choosing a career in theatre is a big decision, but new students who want to follow in the footsteps of UVic’s successful theatre alumni have a great opportunity to learn more about the program when the Department of Theatre welcomes prospective new students for a behind-the-scenes introduction at the annual I Want to Be In Theatre! event on Saturday, February 1. This fun interactive afternoon offers an inside look at life as a theatre student and is ideal for high school students who are deciding about their university studies—or anyone who is interested in studying theatre at a post-secondary level. As well as a tour of the impressive facilities at the Phoenix Theatre, the day provides detailed information about the department’s many theatre specializations: acting, applied theatre, set, costume or lighting design, directing, production and management, and theatre history. Attendees will also see a rehearsal scene of the upcoming play Picnic, have an opportunity to chat with current students over a free pizza lunch, and get advice about choosing courses and the application process. Parents and teachers are welcome to attend with interested students. 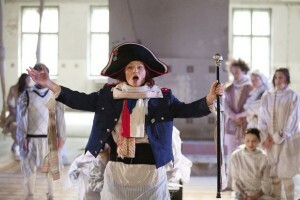 I Want To Be in Theatre! runs 11:30am to 3pm Saturday, February 1 in the Phoenix Theatre. Tickets are free, but please register in advance with this registration form before Monday, January 27. Spend a full day in two of the most beautiful and prosperous cities of the Middle Ages—Cairo and Venice! Settled at the margins of powerful empires, defying prejudice and authority, both islands of culture and wealth—over the desert in Cairo and over the sea for Venice—these two cities write a story of dialogue, art, and trade. History in Art’s Catherine Harding and Marcus Milwright are both among the presenters. 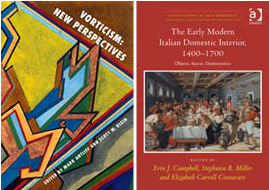 In this full-day of workshops presented by UVic’s Medieval Studies and History in Art departments, you can explore the former slaves who became rulers under the name of Mameluks (the Jewish community in Cairo), the hostelries for merchants in Egypt, the fashions and trends found at rich Italian merchants’, and the friendship between Boccacio and Petrarch in Venice. You‘ll also discover music from Orient and Occident, performed on Venetian lute and Oriental oud. 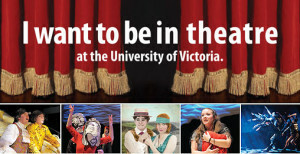 Most of all, you will be part of the vibrant Victoria community which gathers for the Annual Medieval Workshop. Click here to see the full itinerary. The 27th Annual Medieval Workshop runs 9am-5pm Saturday, February 1, in Room B150 of UVic’s Bob Wright Centre. Click here for ticket information. Multidisciplinary Toronto artist Jon Sasaki borrows conceptual art strategies to make works with an emotionally resonant core. 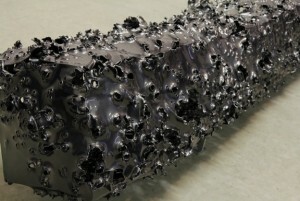 Sasaki’s work has been exhibited in numerous solo exhibitions across Canada. His work has been seen in several editions of Toronto’s Nuit Blanche, and Sasaki holds a BFA from Mount Allison University and is represented by Jessica Bradley Gallery in Toronto. Whether hosting CBC Radio’s long-running technology & culture show Spark, creating documentaries for CBC’s Ideas, working online and in television, or in her previous role as the founding host and producer of CBC’s popular culture show Definitely Not the Opera, few know how to reflect life in the 21st Century better than Nora Young. Now, Young will read from her non-fiction book, The Virtual Self: How Our Digital Lives Are Altering the World Around Us. Young looks at the debates and challenges around virtual data-sharing and its potential for building responsive communities and governments. 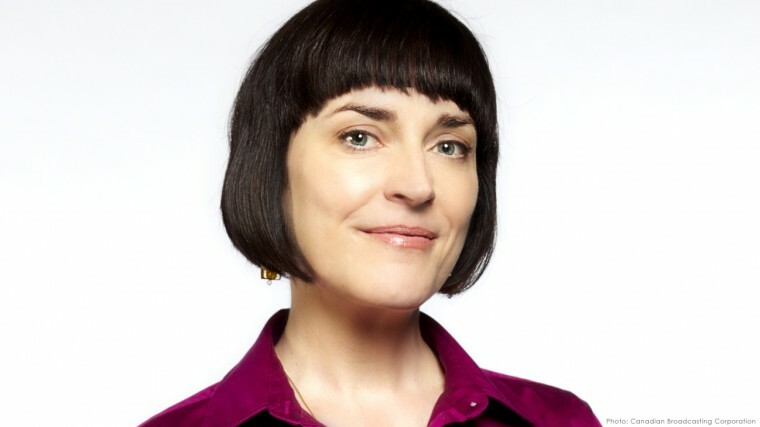 She has fascinating information at her disposal, unique insights into the intersection of virtual and real worlds, and a wonderful voice for making all of these clear to a general audience. 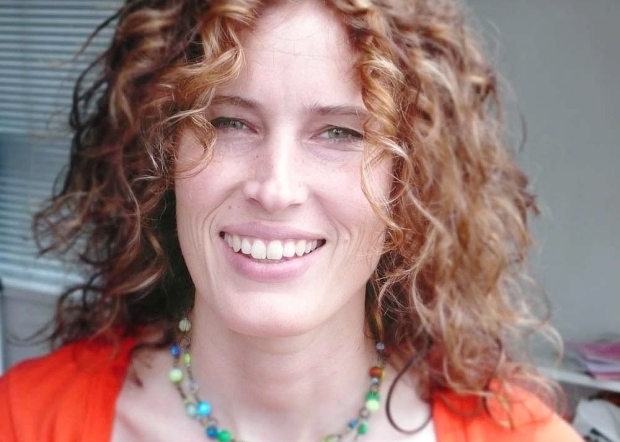 Following her Open Space reading, Nora Young will be interviewed live by Writing professor David Leach, also the director of UVic’s Technology & Society Program. Nora Young’s first reading is at 1:30pm Wednesday, February 5, in room 104 of UVic’s Engineering & Computer Science Building. 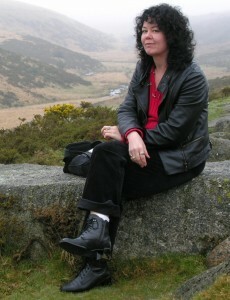 Her second reading is at 7:30pm Wednesday, February 5, at Open Space, 510 Fort. With over four decades of designing nationally and internationally for theatre, opera and ballet, Michael Whitfield is one of Canada’s most versatile and experienced lighting designers—and he has also been named the Distinguished Alumni for the Faculty of Fine Arts for 2014. Even better, Whitfield’s career at UVic has gone full circle, from his graduation way back in 1967 to his current work as a sessional instructor with the Department of Theatre. Now, Whitfield will be honoured by UVic Chancellor Murray Farmer at a special evening honouring Distinguished Alumni representing all 12 faculties, divisions and the UVic Libraries, from 7pm Wedneday, February 5 at the Hotel Grand Pacific. 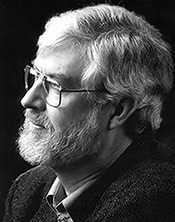 Whitfield went on to become the Resident Lighting Designer at the Stratford Shakespeare Festival for 25 years, where he created the lighting for over 100 productions on the Festival, Avon and Tom Patterson stages. 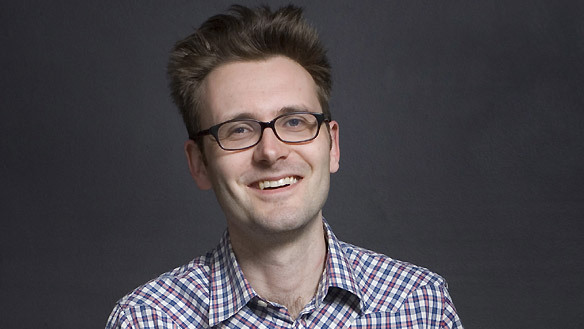 Concurrently with his work at the Festival, Michael also designed for the Shaw Festival and for many of Canada’s regional theatres, particularly the Grand Theatre, London and the Royal Manitoba Theatre Centre. Since the late 1970’s, Michael has designed extensively for the Canadian Opera Company in Toronto as well as for opera companies across the country. His work in the United States has included lighting designs for opera companies in San Diego, San Francisco, Dallas, Houston, Minneapolis and Los Angeles, while overseas his lighting has been seen at the Welsh National Opera and the Netherlands Opera. Michael’s lighting for ballet and dance has been featured at the Royal Winnipeg Ballet, the National Ballet of Canada, the American Ballet Theatre, the Finnish National Ballet, the Canadian Native Arts Foundation and the Banff Centre. In addition to his extensive professional design career, since the early 1970’s Michael has taught at educational institutions including the University of Windsor, the University of Illinois, York University, Carnegie Mellon University, Pittsburgh and the National Theatre School of Canada. By taking on apprentice designers as his assistants he has also mentored the careers of many young designers who are now illuminating stage productions across Canada. The Naden Band of the Royal Canadian Navy has been an important part of naval tradition on the West Coast since 1940 and UVic’s School of Music has a long-standing relationship with the group. Many alumni have served as members of the ensemble and in 1994 the Naden Band of Maritime Forces Pacific Scholarship in Music Performance was established. The band, currently under the direction of Lieutenant (Navy) Matthew Clark, will join the Wind Symphony for a special concert supporting this valuable scholarship, awarded annually to second and third year School of Music students who demonstrate excellence in brass, woodwind and percussion performance. The School of Music’s Eugene Dowling will be conducting the concert, which welcomes back to the Farquhar Auditorium stage bassoon soloist Petty Officer Second Class Robyn Jutras. “Although musicians in the Naden Band are from all over Canada, alumni from the UVic School of Music make up ten percent of their current membership,” says Dowling. “It is wonderful that our featured soloist, Robyn Jutras, was not only trained at UVic, but was a past recipient of the Naden Band Scholarship!” Featured works on the program include David Maslanka’s massive Symphony No. 8 and Eric Ewazen’s Concerto for Bassoon. 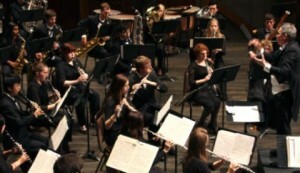 The Wind Symphony & the Naden Band perform 8pm Friday, February 7, at the University Centre’s Farquhar Auditorium. Click here for ticket information. On the last day of summer in small town Kansas, unfulfilled dreams and repressed desires come to a head when a charismatic young drifter arrives in town. His combination of rough manners and titillating charm sends everyone reeling, including the Owens sisters (Millie, the smart one, and Madge, the pretty one), their determined mother, Madge’s college-bound boyfriend, the watchful neighbour and the spinster schoolteacher who boards at the Owens’ house. This 1953 Pulitzer Prize-winning drama is an American classic from the post-war/pre-feminist era which speaks to the timeless themes of lost aspirations and the heart’s yearning to leave everything behind for a new adventure. Directed by Peter J. McGuire with lighting by Allan Stichbury. Picnic previews February 11 & 12, and runs February 13-22. Click here for more information and tickets. 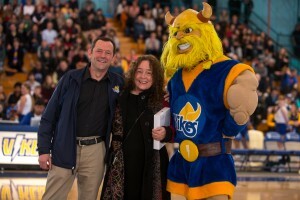 To the cheers of a tight game and the applause of a packed house, the winner of the School of Music / Vikes Nation Rally Song Contest was decided at the Vikes men’s basketball game on January 10—and first prize went to the School of Music’s own songwriting instructor Colleen Eccleston! 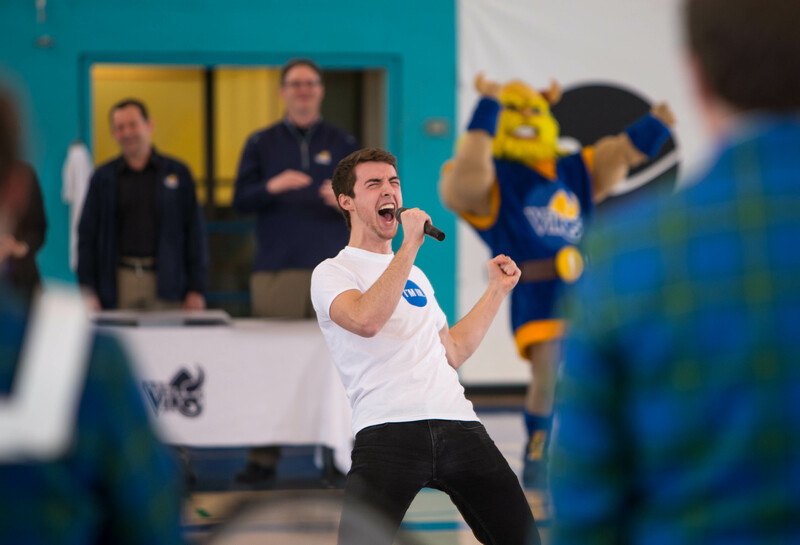 With 18 submissions from across campus—including entries by students, faculty and administration alike—the top three finalists were performed live at half-time by fourth-year Music student and rising star Josh Lovell. And while the crowd enjoyed the first two songs by Kyell Erickson and Kevin Grout, they clearly cheered the loudest for Eccleston’s song . 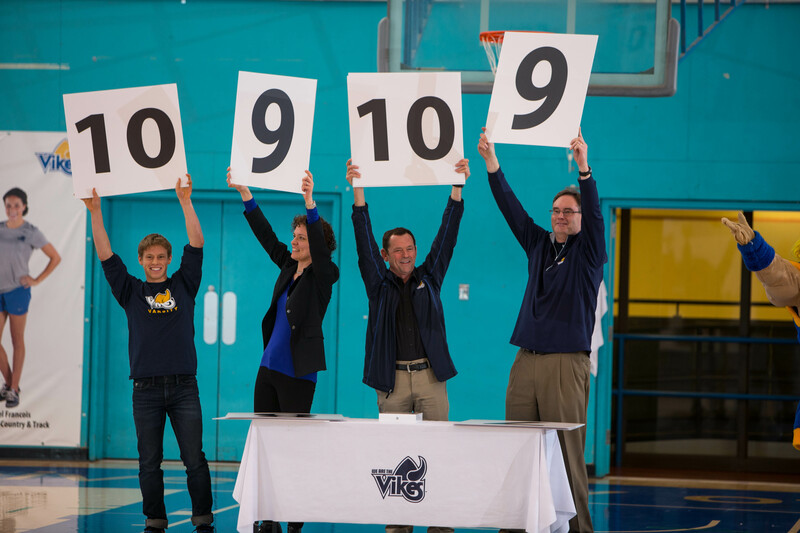 . . which made the decision by the celebrity judging panel—new UVic President Jamie Cassels, Director of Athletics and Recreation Clint Hamilton, Director of School of Music Dr. Susan Lewis Hammond and varsity athlete Kyle Irvine—that much easier. Eccleston picked up a brand new iPad for her winning song, titled (obviously enough) “Vikes Nation.” Attendees of future games will hear a recorded version of Lovell’s rendition before the starting lineups of each Vikes home game. Click here to listen to Josh Lovell singing Eccleston’s winning song, with a montage of photos from the January 10 event. 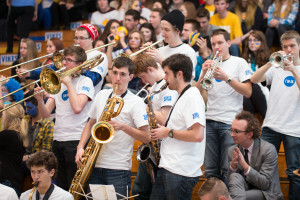 All in all, it was a fantastic night for the School of Music in the McKinnon Gym, with the UVic Jazz Ensemble—led by Music professor Patrick Boyle—also getting in on the action by playing upbeat songs at both the women’s and men’s game. 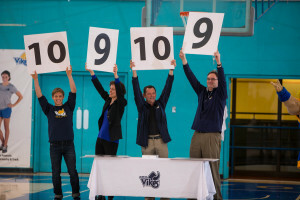 Oh, and the men’s Vikes even won the game, beating rivals the Saskatchewan Huskies 55 to 46. Go Vikes! 2014 started off fast and furious for Fine Arts, with a flurry of media coverage coming out of the new year’s gate. Wrapping up 2013, History in Art’s Eva Baboula was interviewed by Vancouver’s Jewish Independent newspaper for this late December article. She was talking about her new course on Jewish art—the first of its kind in Canada!—and discusses the distinctive characteristics of ancient & medieval Jewish art. Visual Arts professor Paul Walde‘s video & sound installation “Requiem for a Glacier”—shot last summer on the Farnham Glacier in the Kootenays—opened at Nelson’s Oxygen Art Centre in early January. 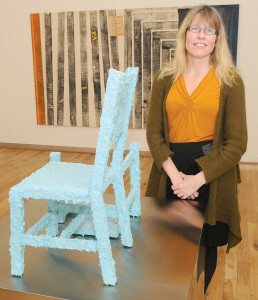 The Nelson Star ran this article about the exhibit, noting that political motivation and diversity of the numerous collaborators is what gave the work a whole new dimension of social practice. 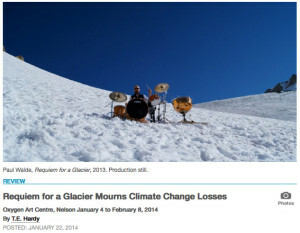 You can read more about the backstory of “Requiem for a Glacier” here, and the exhibit itself runs to February 8. Walde’s “Requiem” was also recently reviewed by Canadian Art magazine. Describing it as Walde’s “most ambitious work to date”, reviewer TE Hardy noted “it demonstrates an essential progress: the ideas are more expansive than in Walde’s past work; the compositional systems that define his practice create a richer intertextual field; and his efficacy as a multi-disciplinary artist is impressively enhanced.” Hardy also notes that Walde “successfully frames questions of mythic import” and mentions the “stark and beautiful” moments in the video. Read the full review here. And in other Paul Walde news, he’s now curating the annual installation Audiospace 10 for downtown’s Open Space arts centre. Opening 7pm Friday, January 17, and running monthly through to Saturday, June 7, Audiospace is an exploration of digital sound, originally created as a venue for sound on the Internet (a novel idea when the series began back in 2003). Walde will bring audio back to the physical realm through the creation of a listening room at Open Space, which will feature a new artist each month. Keep up to date with the series here. 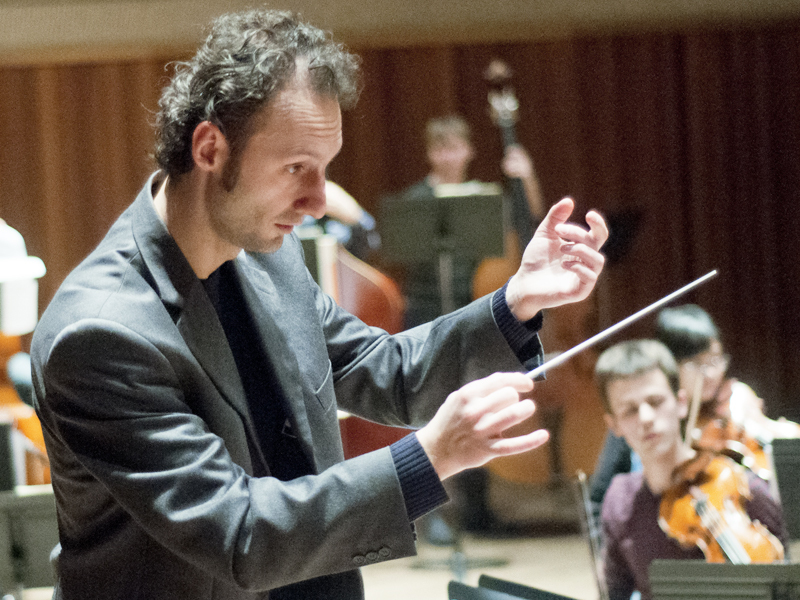 The School of Music had an ambitious first week back in January, thanks to their fascinating Week with Gustav Mahler. A combination of open rehearsals, lectures, listening rooms and a full faculty recital, Mahler Week earned a fair bit of media coverage. As busy local arts blogger Janis LaCouvee noted, it was a great way to learn more about this under-appreciated composer. “My knowledge of Mahler—sadly—is limited to the 1974 biographical film by Ken Russell, so when Kristy Farkas, the Concert Manager for the UVic School of Music, contacted me with news of a week-long Mahler tribute, I knew that I had to add some of the events to my arts calendar.” You can read more about Janis’ Mahlerization here. 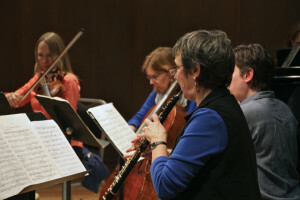 The Times Colonist returned to the School of Music again with columnist Kevin Bazzana writing about the Galiano Ensemble in this article. 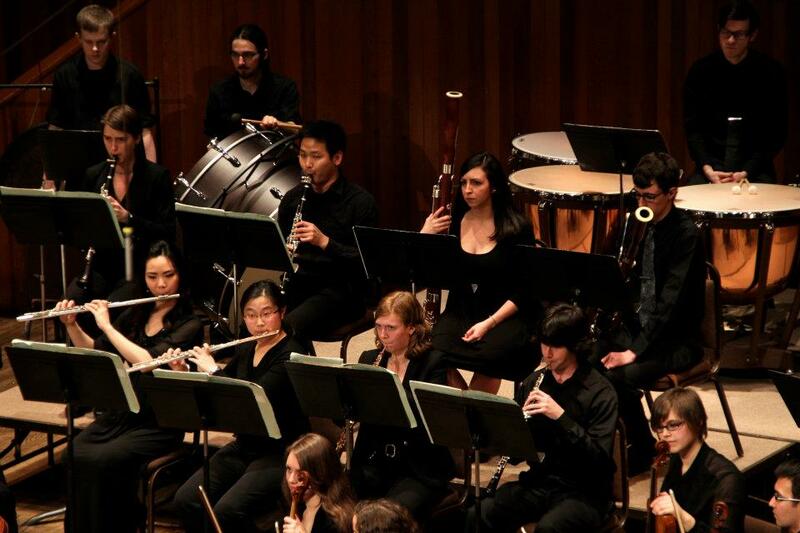 The Galiano Ensemble includes not only School of Music faculty members but also alumni amongst its players. But wait, there’s more—the TC also picked up a story about professor Eugene Dowling‘s A Mostly Canadian Recital on January 12. 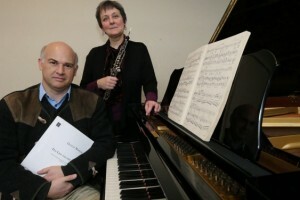 In this article, Dowling describes the many personal connections he has with many of the composers and the stories behind the compositions, noting that he will try to bring all those emotions and friendships to mind as he plays. Music instructor Colleen Eccleston was also interviewed on the CFAX radio show Cafe Victoria with Bruce Williams, speaking about the legacy and role the Everly Brothers had in rock-and-roll history. (Phil Everly passed away on January 3.) 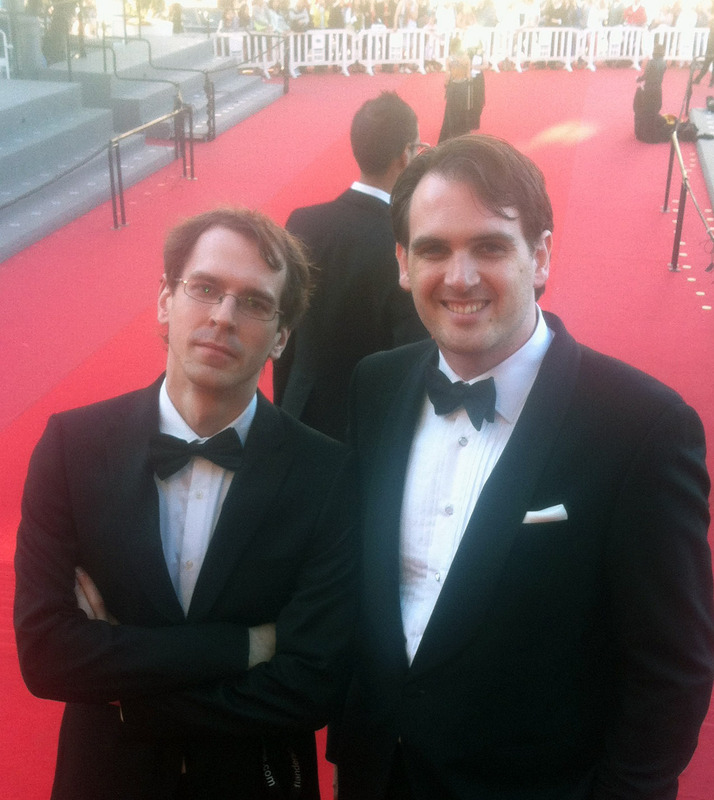 Click here to hear a podcast of the show, then fast forward to timecode 16:15. Eccleston teaches the history of rock and roll for Music, among other classes—and she was also announced as the first-place winner of the School of Music/Vikes Rally Song contest on January 10 (but more on that in this separate post). All in all, that’s some outstanding Music coverage for just the first week of classes! History in Art is also gearing up for the unveiling of their Big Button Blanket project, debuting at the Legacy Downtown on September 16 as part of the exhibit Adasla: The Movement of Hands. An ambitious collaborative project between professor Carolyn Butler Palmer, Tahtan Nation artist and sessional instructor Peter Morin, plus local indigenous blanket makers and History in Art students, watch for all sorts of coverage coming up about both the exhibit and the blanket itself. Get a taste of it with this CBC Radio All Points West interview with Morin and host Jo-Ann Roberts (scroll down to the January 7 entry). Adasla runs January 16 to April 25, with a special performance on February 22 by Governor General’s Award winning performance artist Rebecca Belmore, a former Audain professor for the Department of Visual Arts, and Morin. Morin will also inaugurate the blanket in its debut performance at the start of UVic’s annual Diversity Research Forum on January 29. Over in Writing, professor Maureen Bradley was featured in this Times Colonist article in late November, being interviewed about her upcoming feature film Two 4 One and the representation of transgendered people in the media. Two 4 One will be the first transgender romantic comedy. “Wallflowers, by Eliza Robertson (Hamish Hamilton Canada/August). A debut collection from a buzzy young author whose work has been shortlisted for the Journey Prize and won the Commonwealth Short Story Prize. Her story ‘My Sister Sang’ is alone worth the price of admission.” But hey, no pressure! Finally, Department of Theatre sessional instructor, former student and veteran lighting designer Michael Whitfield has been announced as this year’s Fine Arts recipient of the Distinguished Alumni Award. Whitfield was a student during the earliest days of UVic and literally got in on the ground floor of the nascent Theatre department. You can read some of his memories in this Torch article from the Spring 2013 issue (skip ahead to page 34). Learn more about the Distinguished Alumni Awards here. Congratulations, Michael!